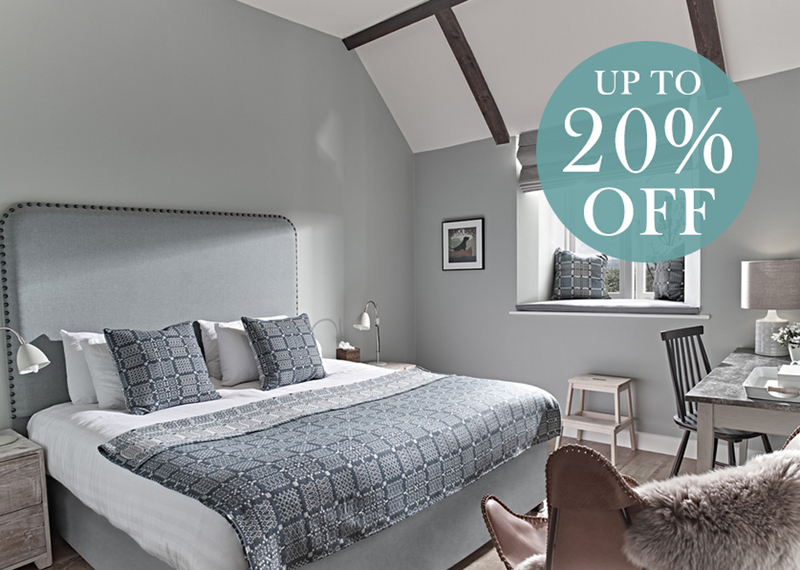 Make your stay at The Fish Hotel extra special with this fabulous overnight offer! - Delicious afternoon tea for two AND your dog - introducing the new doggy afternoon tea! 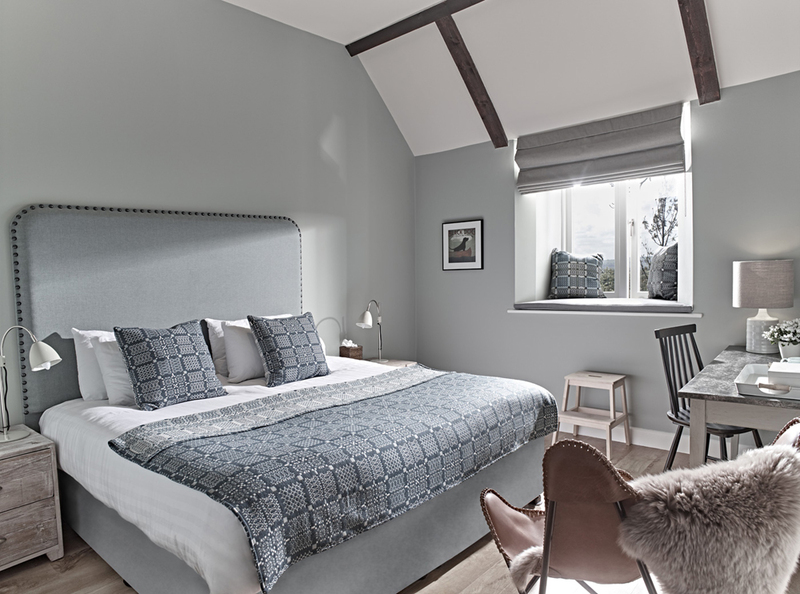 Dog-friendly The Fish Hotel in Worcestershire is the ultimate pet-welcoming destination, set within easy reach of the Cotswold village of Broadway. 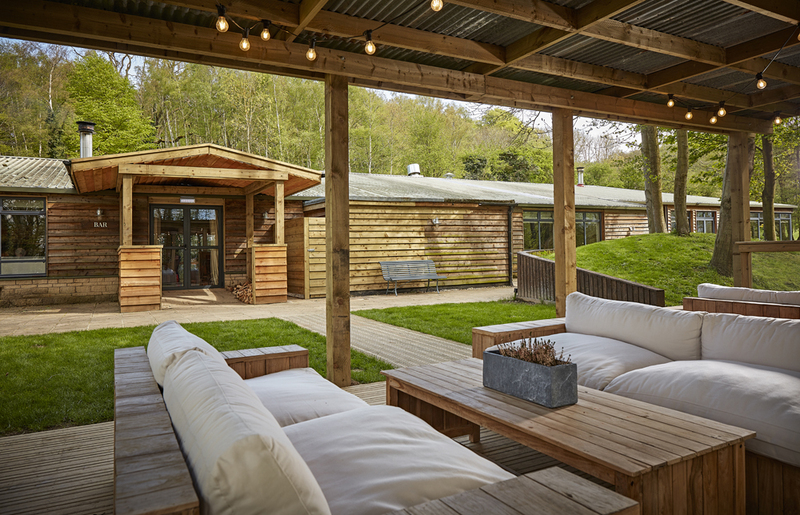 This back-to-nature bolthole offers both style and comfort for pets and their owners – but with a little touch of luxury! 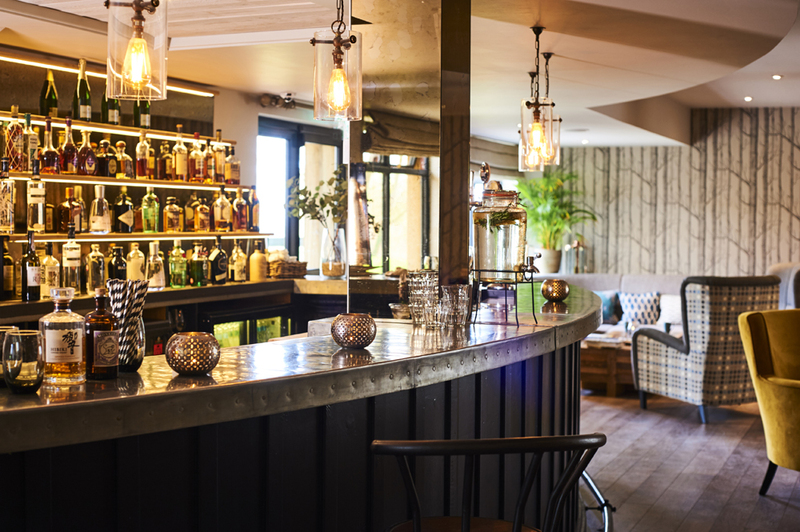 Nestled within the 400-acre Farncombe Estate, The Fish is a collection of quirky country houses that are affordable but super stylish. 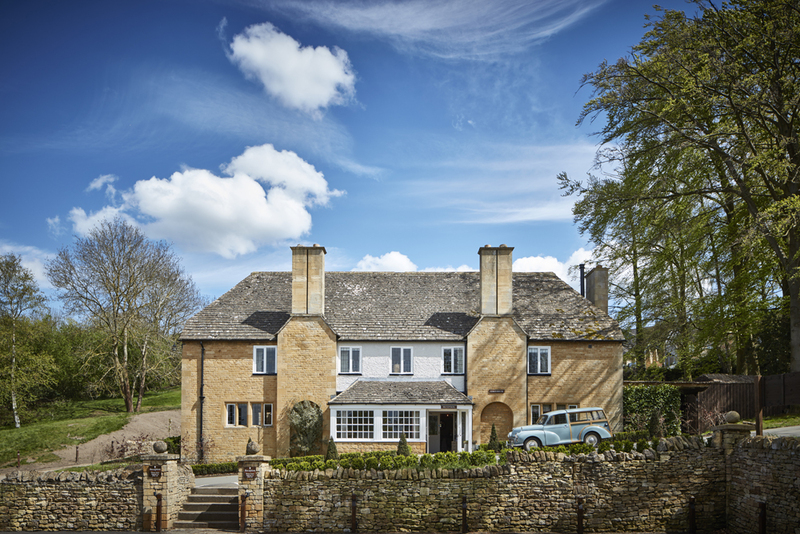 The gateway to a world of outdoor adventure, The Fish’s Cotswold location makes it a superb break for four-legged friends. You and your canine can roam the surrounding forest and fields before settling down for a picnic or stopping in a local dog-friendly pub. And then after a day of doggie explorations, you can both curl up in front of the fire in The Bar with a warm drink. 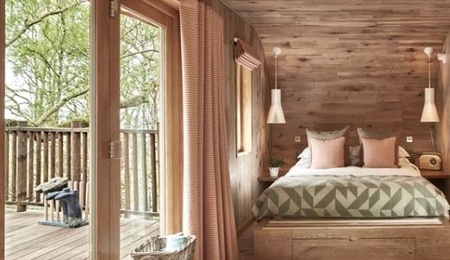 Choose from beautifully decorated bedrooms and suites to magical treehouses or luxury huts for the perfect escape! Furry friends are welcome in The Bar where there are treats available, or the lounges where they can relax by your side. 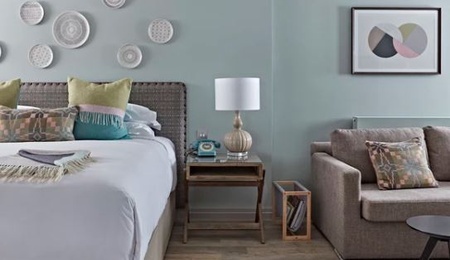 If you prefer to eat in the restaurant then you can leave your pooch to snooze in the room. 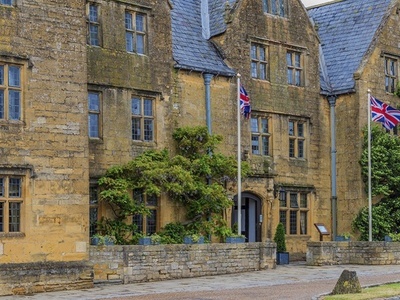 This corner of the Cotswolds is a chef’s paradise, allowing the hotel to source nothing but local and seasonal ingredients to create fresh and flavourful dishes. 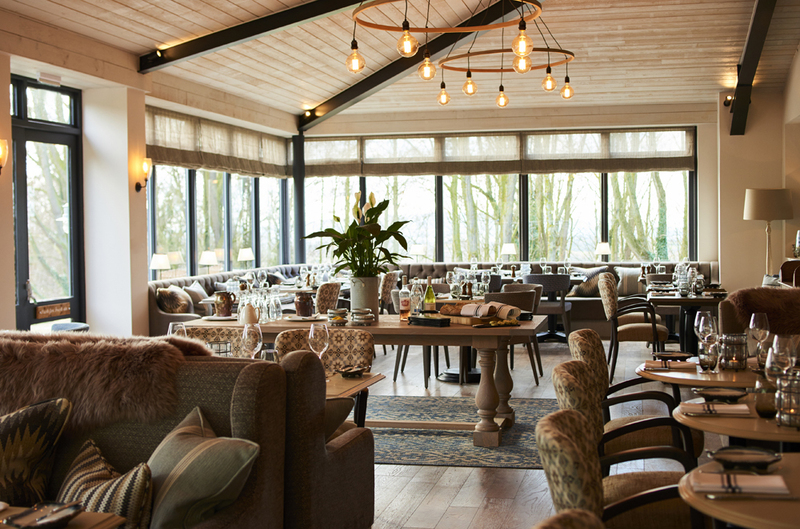 The main restaurant is light, bright and supremely welcome. Dog bed, bowls, towels and treats are provided for your pooch. 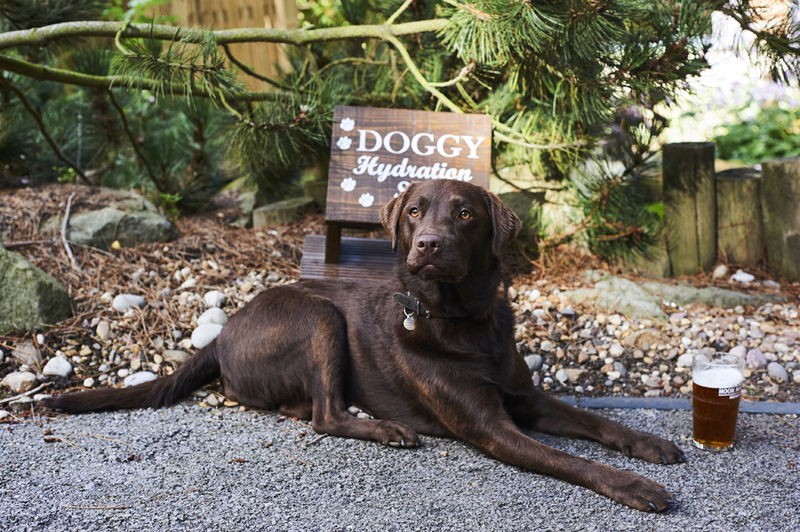 The hotel offers its own Dog Agility course within the grounds to treat your dog to some fun, too! 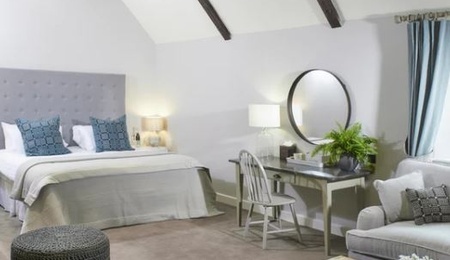 The Cosy Luxe rooms in The Stable are dog-friendly. 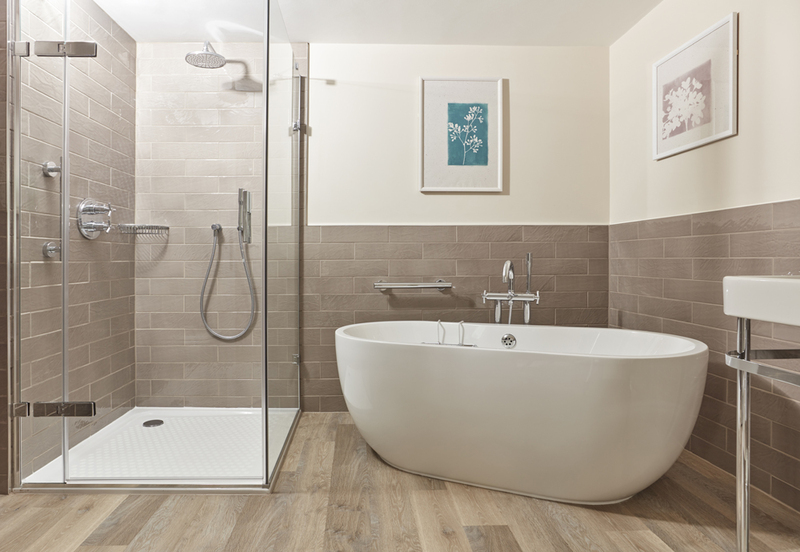 All have wooden floors and easy access to the car park. Plus, the 400-acres of the private countryside is on the doorstep for those all-important doggie walks! Choose from beautifully decorated bedrooms and suites to magical treehouses or luxury huts for the perfect escape! 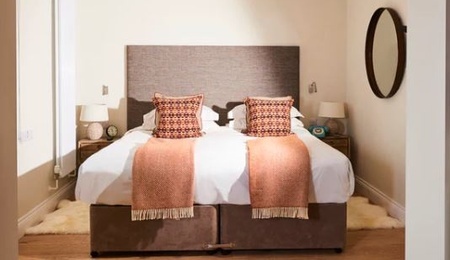 Decorated in soothing neutrals, with colourful accents - think country comforts with contemporary Scandi-style. 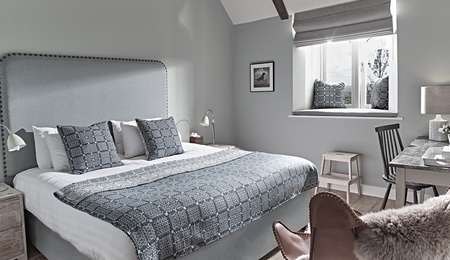 The Veranda Rooms are open plan ground floor suites located in the Coach House and can interconnect making them perfect for families. Please note, only one of the Veranda Rooms are dog-friendly. 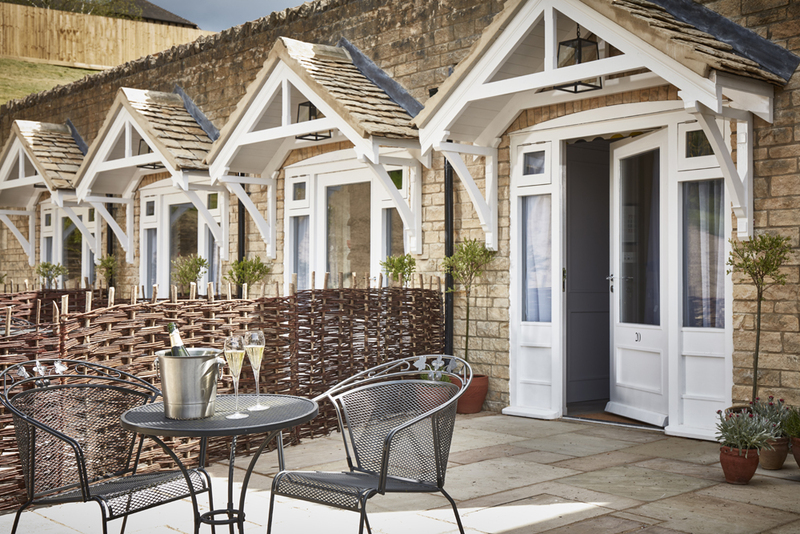 The Small Suites are open plan with a cosy bedroom and lounge (with sofa bed), ideal for family stays of up to four and are located in The Outhouse. 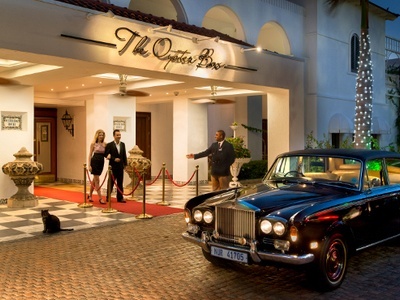 The Fish’s Big Suites are the hotel’s largest and (some might say) best. Each one has plenty of space for a cot and some have a sofa bed. Two have patio areas, the other two have wood-burning stoves with armchairs and footstools – just the thing for an evening in by the fire. You don’t have to be a kid to appreciate the sheer awesomeness of treehouses. 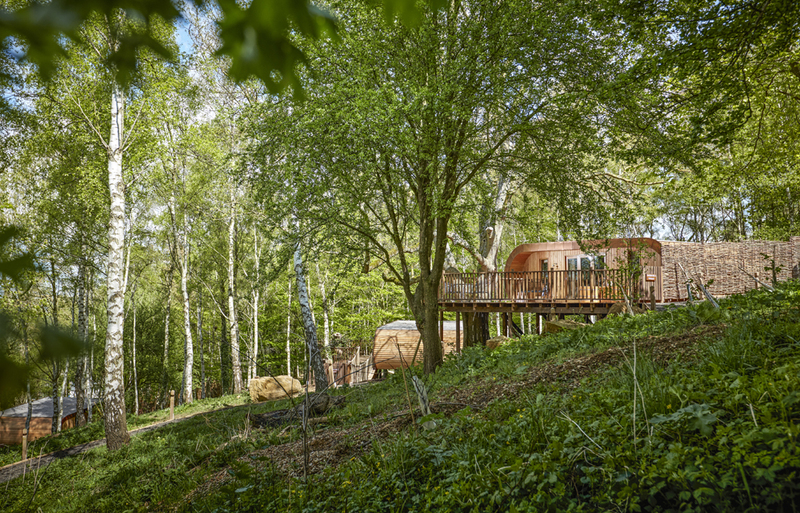 These spectacular arboreal retreats will embody all the pleasures you’d remember as a kid, plus a handful of more grown-up perks, such as en-suite bathrooms, underfloor heating, Nespresso machines and a remarkably well-stocked minibar. 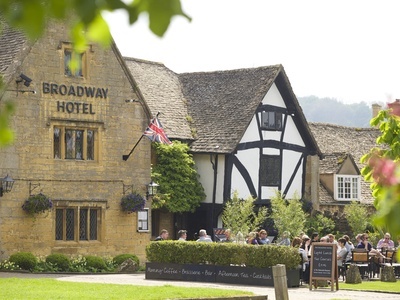 From the hotel, you can take an energetic walk up to Broadway Tower – a folly tower at the top of the hill – or visit the charming galleries and cafés of the traditional Cotswold Village. Or you may like to visit Westonbirt Arboretum and take in the bird’s eye view of the stunning treetops from the new treetop walkway. A fabulous selection of countryside walks will give you and your hound a chance to explore this beautiful countryside. Don’t forget, The Fish now offer their own Dog Agility course within the grounds!